This clutch/flexplate/flywheel dust cover fits Turbo 350 and Turbo 400 automatic transmissions but may require minor trimming. 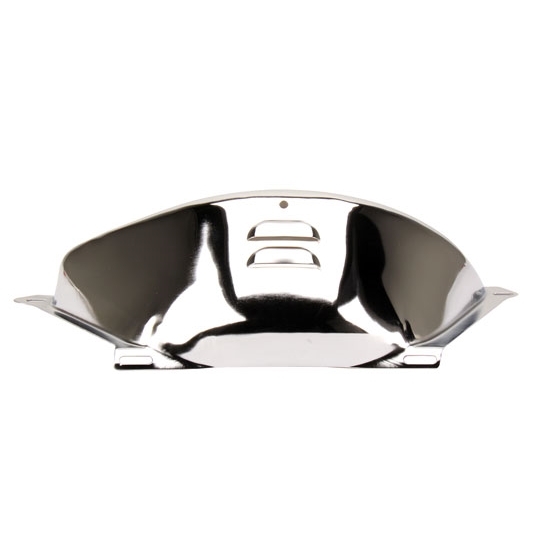 They feature top quality chrome, heavier construction, and added clearance. These covers will keep debris, dirt, and grime out of your transmission and look good doing so. Pat talks about our LS flexplate options. One of the most challenging things about swapping transmissions can be figuring out the clutch linkage. Speedway can show you how to install the upgraded hydraulic throwout bearing with ease. There are a few things to consider before you select a replacement flexplate for your small-block Chevy engine. Speedway has some useful tips to follow that will help speed up the process.